mad orange fools: I wish vacation lasted forever. Anyway, I still have a gazillion photos to post on Flickr and I have to say, it's a little overwhelming. But it's also nice to revisit our trip. 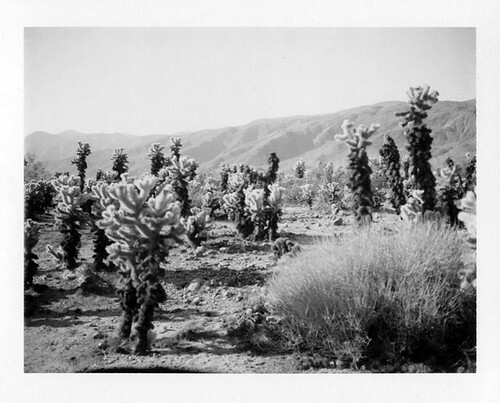 One of my favorite places was the cholla garden at Joshua Tree National Park and so of course I have loads of cholla shots. They are just so intriguing to me. And if you look at one long enough, it will jump out and stick to you. Well, not really, but if you get to close...ouch! 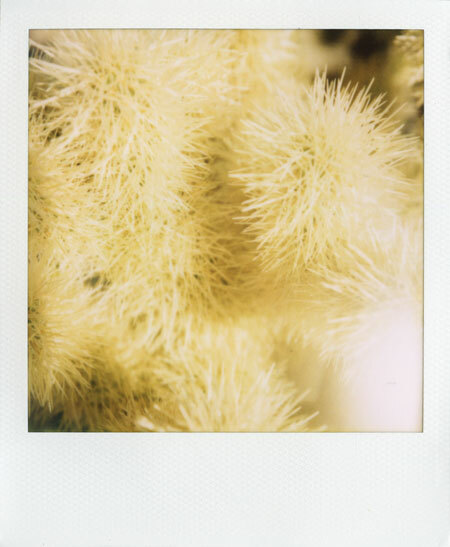 It was quite and peaceful walking around, surrounded by the cholla. 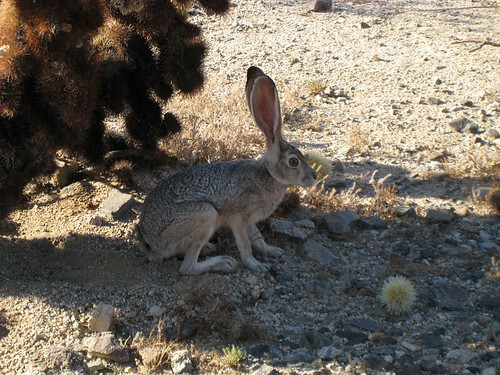 And, because it was on the early side (although I think it was already past 90 degrees), we had the awesome experience of seeing a black-tailed jack rabbit. Will spotted him and then we sort of followed him around for a bit. (Off the designated path...ooops.) He was just so cool. It made our day for sure. After that, we continued on south to Cottonwood Springs, the starting point of our hike. More on that later. I so want to write more about vacation, if only for myself, but time continues to be short. And this week has not been a good week for sleep which has me ragged around the edges. Last week I felt so hopeful about the sleep issue and now I am back to feeling frustrated and hopeless. I just don't know what to do. On the bright side, I do have a three day week ahead. And, um, football pre-season is on. Pre-season doesn't really do much for me, but I'm sure we'll tune into the Steelers game this evening.